The next General membership meeting will be April 13, 2018 , 11:30 a.m. – 1:00 p.m. at Hays Medical Center, Agnes Room 1, 2220 Canterbury Dr, Hays, KS 67601. The Kansas Breastfeeding Coalition is pleased to award grants totaling nearly $5,000 to eight local breastfeeding coalitions in Kansas focused on building a culture of breastfeeding support in their communities to help more families reach their breastfeeding goals. The Breastfeeding Welcome Here program continues to grow. Did you know that we began this campaign in May 2013? It is wonderful to see how many coalitions and breastfeeding advocates have come together across the state of Kansas to help expand this campaign in just 5 short years! There have been 49 new participants join since the first of 2018. Making our total number of participants 815 businesses & organizations. This program now stretches across 69 out of 105 Kansas counties. Have you checked out our Local Resource Directory lately? We are proud to feature 263 total local resources across the state. Learn how to leverage this powerful resource in your community. October 12, 2018 for the next Kansas Breastfeeding Coalitions Conference in Wichita. 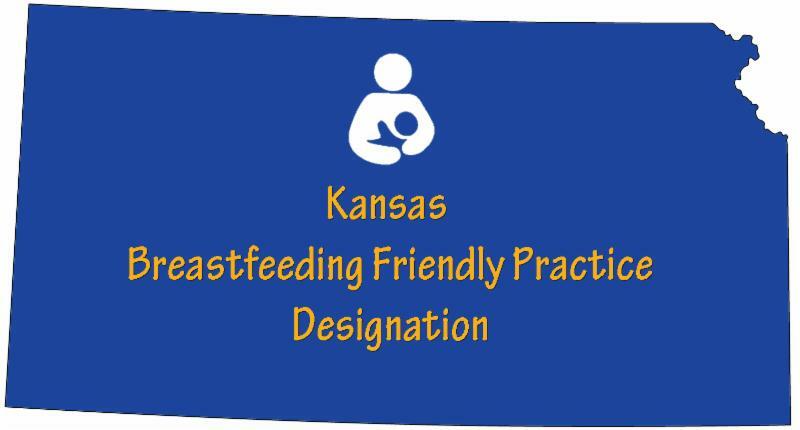 The Kansas Chapter, American Academy of Pediatrics (KAAP) has been busy training practices across the state to become “Breastfeeding Friendly”. Participating practices or clinics receive on-site education with free CME and a tool kit that includes a window cling, parent handouts, poster, and a flash drive with electronic resources. Breastfeeding Education Webinar Series - presented by the Michigan Breastfeeding Network, cover a clinical or community topic each month and are presented by breastfeeding experts. The webinar event offers CERPs each month and continuing education for nurses on months with a clinical topic. A certificate of attendance is provided each month for dietitians and social workers. Please note that the webinar needs to be watched in ‘real time’ in order to receive CERPs or continuing education credit. Webinars are free of charge and offered the 3rd Tuesday of every month at 1:00-2:00pm. Recordings of past webinars are also available. Visit http://mibreastfeeding.org/network-series for more information. Save the Date! The KBC will host a 1.5-hour webinar on July 24th from 11:30 – 1:00 addressing insurance reimbursement for lactation support services featuring Susanne Madden with the National Breastfeeding Center and Sunee Mickle with Blue Cross Blue Shield of KS. Details for attending the webinar will be available soon.